This hotel is just a 5-minute walk from Downtown and the Kringle’s Inventionasium® Experience. 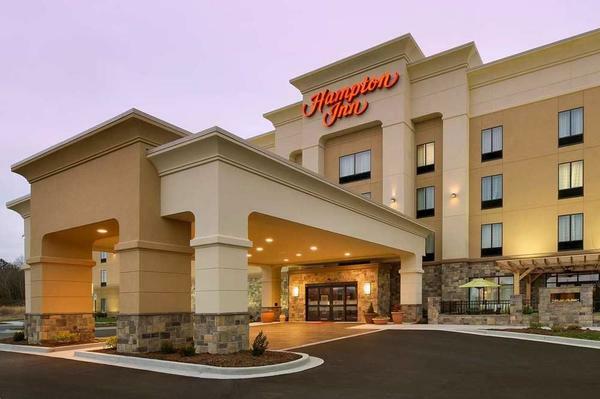 Experience the ultimate in comfortable and convenient hotels in Cleveland, Ohio at the Hampton Inn Cleveland-Downtown, located 13 miles from Cleveland-Hopkins International Airport. This hotel in downtown Cleveland is perfectly situated near the greatest attractions that Cleveland has to offer. Visit the Playhouse Square Theater District, or catch a Cleveland Browns or Indians game during your visit. Enjoy a day of fun at The Greater Cleveland Aquarium, Rock and Roll Hall of Fame, Jack Casino or visit Cleveland’s financial district, all within walking distance from the hotel. Start your day right with free hot breakfast. Stay connected in the 24-hour business center and enjoy free internet access in every guest room. The fitness center features cardio and weight equipment to help you maintain your healthy lifestyle. The Suite Shop is available 24-hours for snacks and beverages. 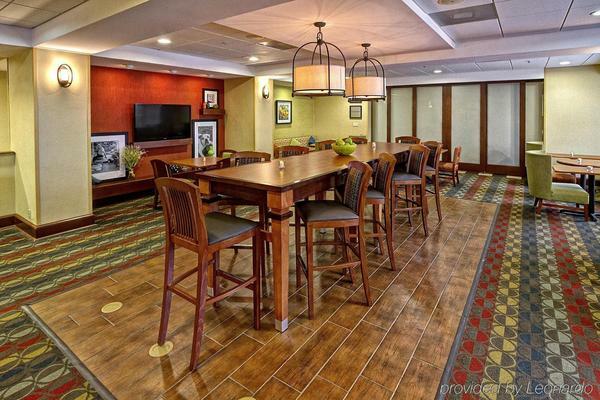 Among downtown Cleveland hotels, you’ll find the Hampton Inn Cleveland-Downtown is close to it all but far from the rest. 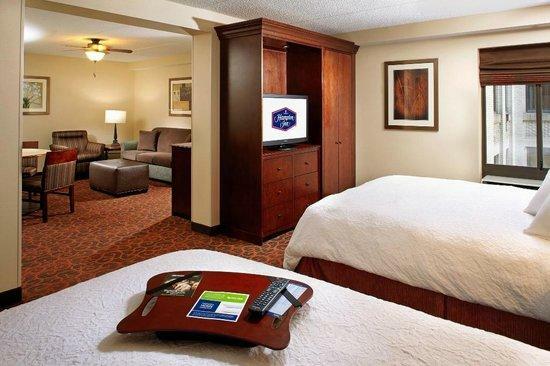 Classic rooms include free WiFi and flat-screen TVs with HD channels, plus custom-designed beds, desks and coffeemakers. Suites add separate living areas. There’s free on-site hot breakfast (daily) and weekday breakfast bags to go, as well as a gym and coin laundry. Additional amenities include a convenience store, meeting space and a business center.